Water Relaunch Made Simple. Learning to fly a kite in the water as well as on land has some great benefits. 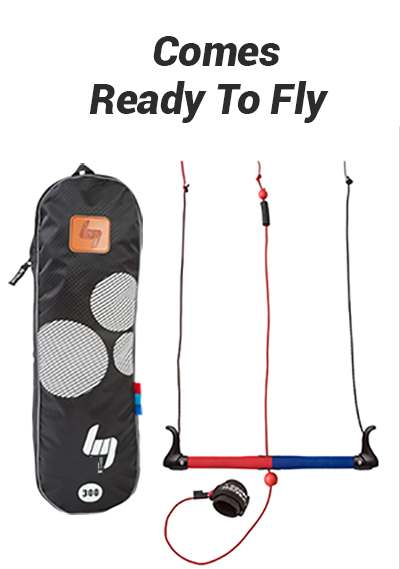 Kiteboarding is a water sport, so why not start with a trainer kite that allows you to train both in the water and on land? For example, learning to control your kite while being dragged through the water is much different than just flying your kite on land. 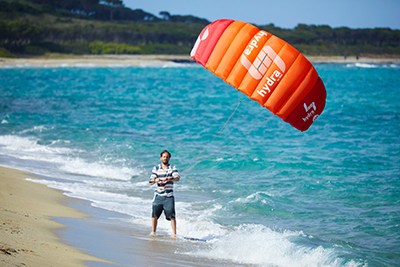 The Hydra is HQ's first water re-launchable closed cell foil trainer kite. The kite is extremely stable and easy to fly. Its closed cell ram–air foil has no bladders to inflate or replace, yet it floats on water. It has been carefully designed to allow for greater agility and power in the turns. 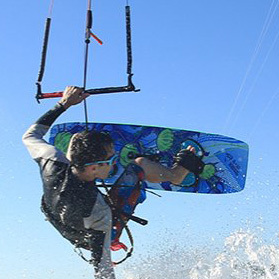 A third line provides a safety system and the ability to reverse launch the kite, which is valuable for beginning kiteboarders, making it the perfect kite choice for beginners. 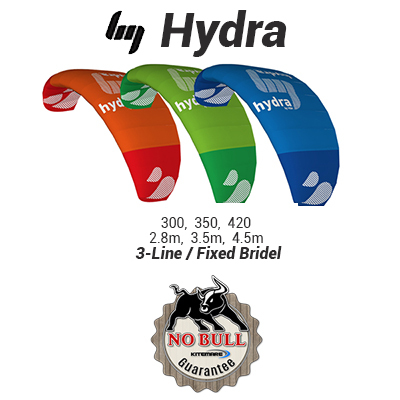 The Hydra II 420 has been carefully designed to improve aerodynamics and reduced bridling to provide the best and most stable flying experience for beginning kiteboarders. Hydra II 300. True Size 2.6m Square Meters. Medium Pull. Hydra II 350. True Size 3.5m Square Meters. Strong Pull. Hydra II 420. True Size 4.5m Square Meters. Stronger Pull. Great Trainer! I'm very happy I went with a 4 meter kite instead of a 2 meter!!! ; and then water re-launchable, but I haven't had opportunity to try a water launch yet.